West Elects New Director to the Board | West Pharmaceutical Services, Inc.
EXTON, Pa., June 1, 2017 /PRNewswire/ -- West Pharmaceutical Services, Inc. (NYSE: WST) today announced that the Company's Board of Directors elected Deborah Keller as its newest member. 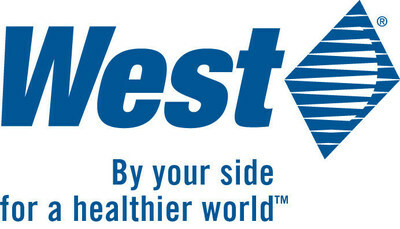 With the addition of Ms. Keller, West's Board of Directors increases in size to 11 directors. Ms. Keller, 54, serves as a Principal at Black Frame Advisors, LLC, and recently retired as Chief Executive Officer of Covance Drug Development, a business segment of Laboratory Corporation of America® Holdings. Prior to serving as CEO, Ms. Keller spent more than 28 years at Covance in a number of leadership roles, including Corporate Executive Vice President and Group President of Research and Development Laboratories, Corporate Senior Vice President and President of Discovery and Translational Services, and Vice President of Analytical Services in Europe. Prior to joining Covance, Ms. Keller began her career as an Analytical Chemist at Perrigo Company. "We welcome Deborah Keller to West's Independent Board of Directors," said Patrick J. Zenner, Chairman of the Board of Directors, West. "Ms. Keller's experience leading a multinational drug development business that partners, just as West does, with the world's leading pharmaceutical and biotechnology companies will be a great asset to the Company. We look forward to the wealth of knowledge and perspective she will bring to the Board."